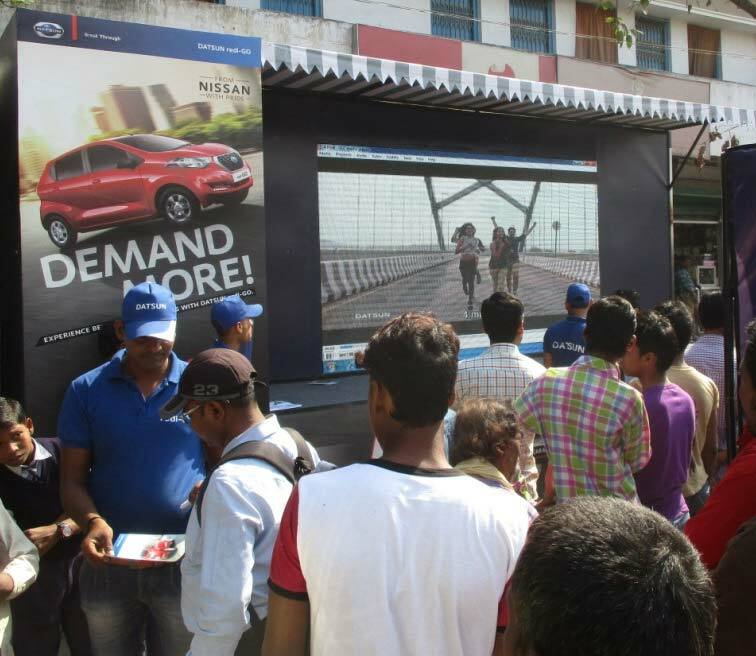 Taking forward the brand’s promise of providing individual mobility, Nissan India’s Datsun brand has rolled out the ‘Datsun Experience Zone’, a pan-India experiential activity for customers across 360 different locations in 27 cities. 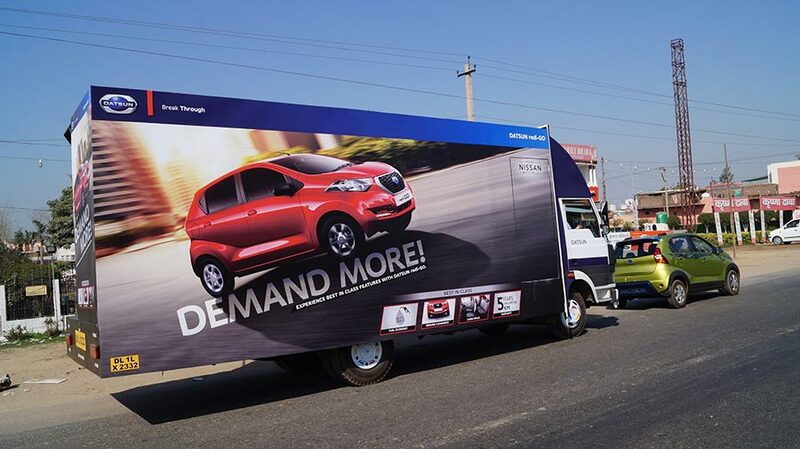 A specially-designed canter experience van sporting Datsun brand livery will visit key locations in Bangalore to deliver a first-hand experience of the Datsun redi-GO car to the customers from March 11 to March 17, 2017. The Datsun Experience Zone is a customer-focused activity aimed at familarising consumers to the Datsun brand and the immensely popular redi-GO. The vans will transform into a platform for interactions with customers, offering an emcee to introduce the redi-GO, distribute Datsun brand merchandise, and showcase the redi-GO’s best-in-class features in addition to the chance to play a special motion sensor driving game with steering control projected on a giant LED wall screen. said Arun Malhotra, Managing Director – Nissan Motor India Pvt. Ltd.
Apart from having fun, they will also be able to get a first-hand look at the redi-GO’s attractive styling and learn more about its best-in-class ground clearance, cabin space, and five-year unlimited kilometres warranty. 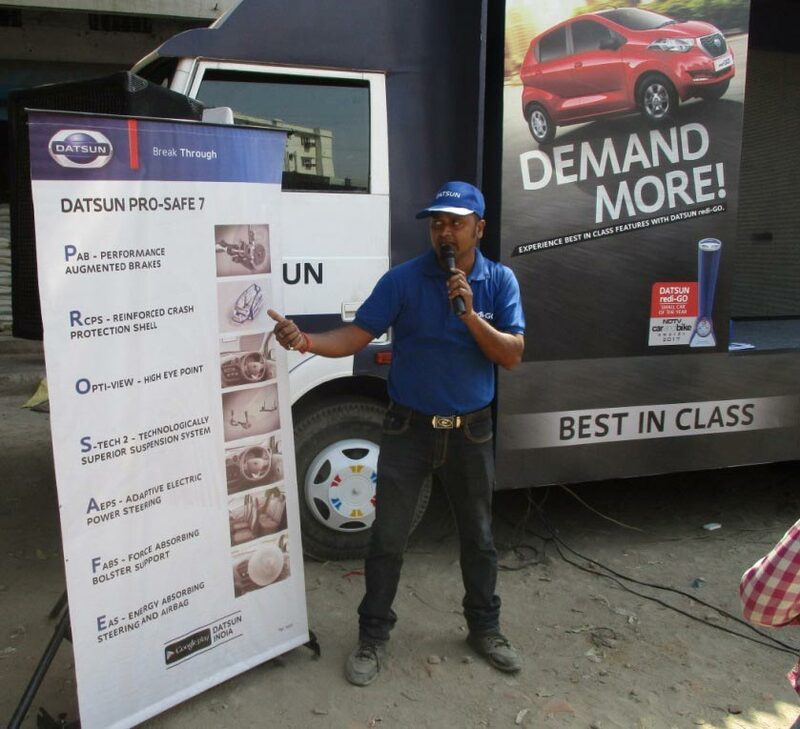 The Datsun redi-GO was launched in India in June 2016. It is an attractively priced, modern and highly capable vehicle that combines the roominess, agility and efficiency of an urban hatchback with best-in-class ground clearance (185mm) and the rugged looks of a crossover. Datsun redi-GO has won seven motoring awards in India to date in recognition of its product strengths and popularity. The accolades include two awards at the NDTV Car and Bike Awards 2017 (Small Car of the Year and the Brand Ambassador award), in addition to the viewer’s choice award from The Auto Show / Car India and Bike India Awards 2017.